I love that mosaic print, it looks like a Byzantine mosaic tile floor…gorgeous! A few of the prints here are not from the Rhumba line, but about 80% of them are. So, this week in the evenings after work I have whipped up 53 square-in-a-square blocks in three different sizes, and have them all laid out on my living room floor (i.e. 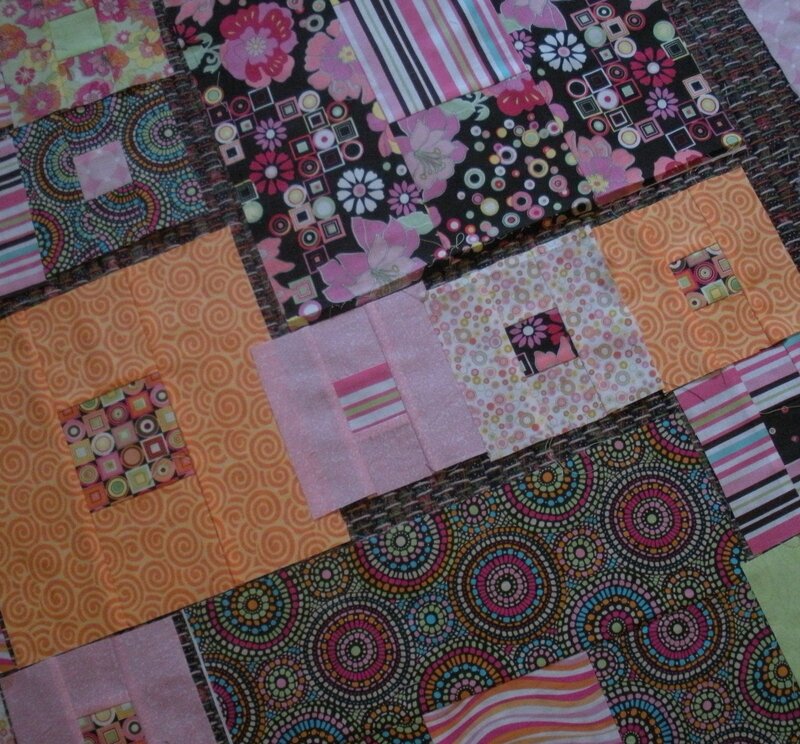 my high-falootin’ design wall) ready to get pieced together into a quilt top hopefully this evening. 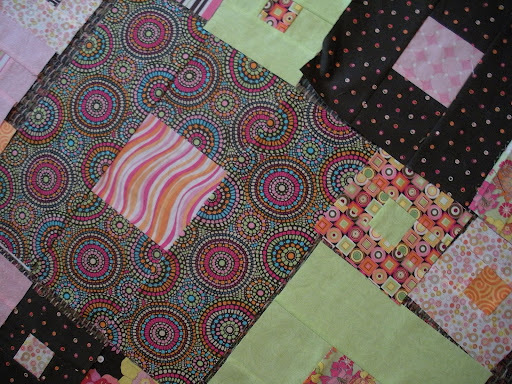 Everytime I walk past it, I move a block or two around, looking for a more eye-appealing arrangement…it’s sort of like an explosion of bright colored squares all over the floor right now. 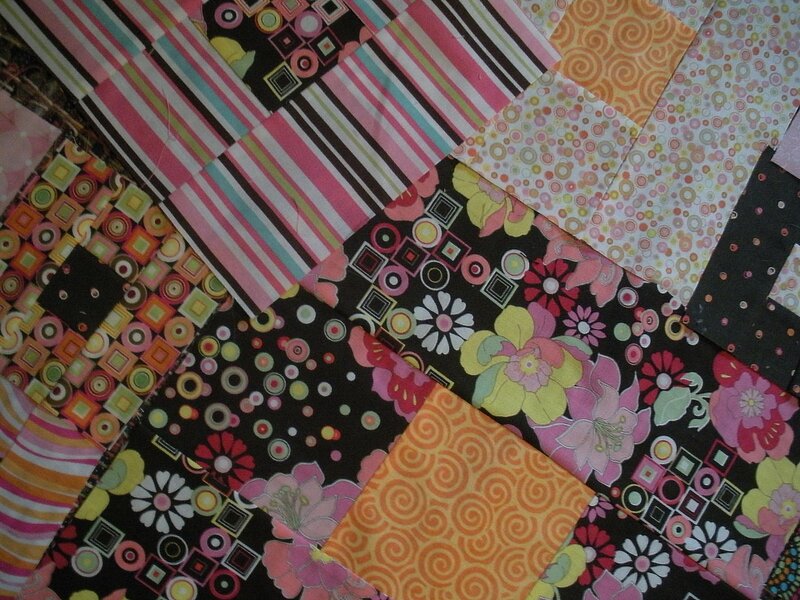 These fabrics are really beautiful! I haven't seen them anywhere yet. And your project is gorgeous already. Sounds like you're having fun playing with it. 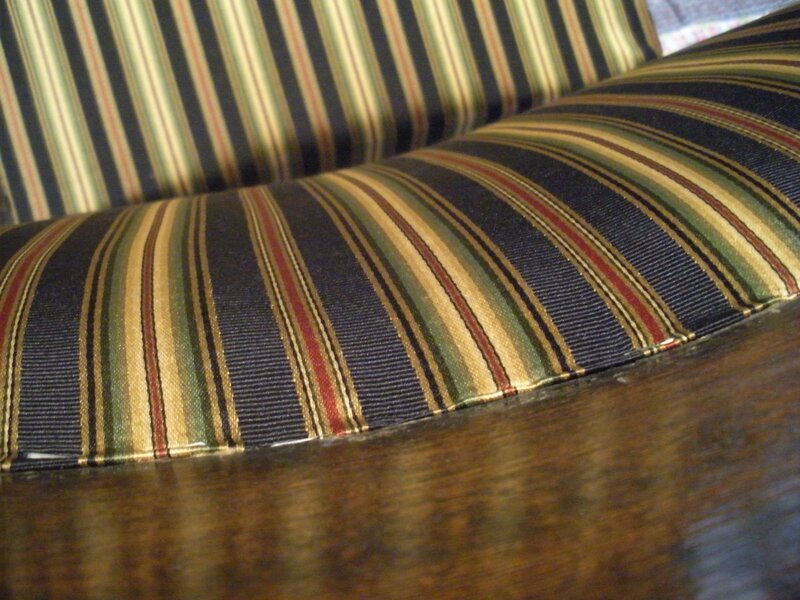 Can't wait to see your upholstery project, something I've always wanted to try. Have fun!